It's Earth Day, a day to celebrate environmental protection and also when retailers encourage practices like reusing and recycling resources. While some stores like J.Crew aren't offering free things, they're donating a percentage of proceeds to causes related to Earth Day. Here are some examples of the best Earth Day freebies and giveaways, including discounted jeans and free crafts classes. But be sure to call the stores beforehand to check supplies and read the fine print for restrictions. American Eagle Outfitters: Since April 11, customers can bring their old jeans to any store in the U.S. and Canada and get a 20 percent discount on a new pair until April 30. The old jeans will be shredded and recycled to use in Make it Right Foundation's affordable homes. Anthropologie: The retailer is offering "Rainforest Crafts for Kids," recommended for ages 5 to 10. RSVP is required via telephone and times vary per store. A Pea in the Pod: Get 20 percent off your online purchase of maternity clothing with the code EARTH, excluding certain products like outlet items and gift cards. Blaze Pizza: At its 60 locations in 16 states, Blaze Pizza, headquartered in Los Angeles, is giving away free stainless steel straws today with a drink purchase. Caribou Coffee: Get unlimited coffee through April with the company's $30 "2015 Earth Month Tumbler," according to the Caribou Coffee Facebook page, though the mug appears to be sold out online. 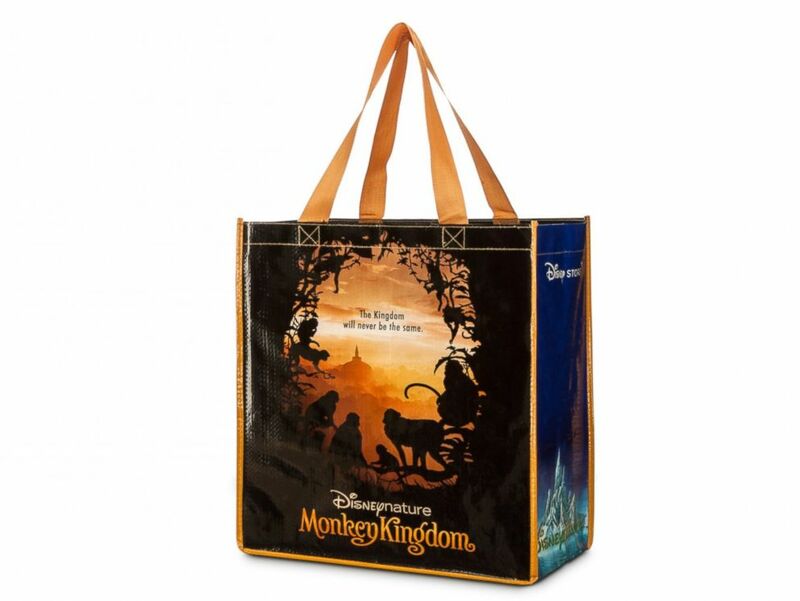 Disney Store: Disney Stores are offering a free "Disneynature Monkey Kingdom" reusable tote bag with any purchase, while supplies last, according to a spokeswoman. ABC News is owned by the Walt Disney Company. On 2015 Earth Day, April 22, Disney Stores are offering a free "Disneynature Monkey Kingdom" reusable tote bag with any purchase, while supplies last. Eddie Bauer: Receive 10 percent off your entire purchase with the code EARTH. Eddie Bauer said it will plant a tree for every purchase made today online and in stores. EVOS: With locations in Florida and North Carolina, EVOS is offering a free organic shake today. H&M: Through May, people can bring a bag of unwanted clothing or home textiles of any brand in any condition and receive a discount voucher for your next H&M purchase, with a max of two vouchers per exchange in one day. J.Crew: J.Crew has partnered with illustrator Donald Robertson to create their Save The Bees tees, which launch today and cost around $30 and up. Half of the retail price from their sales will benefit the Xerces Society, a nonprofit that protects wildlife through the conservation of invertebrates and their habitats. Kiehl's Since 1851: From Wednesday through this Sunday, bring an empty skincare bottle to your local Kiehl's skincare store and receive 5 "Recycle & Be Rewarded Stamps" plus a complimentary deluxe sample, while supplies last. Ten stamps will get you one travel size product. During "Earth Month," 100 percent of Kiehl's net profits from its "Limited Edition Creamy Eye Treatment With Avocado," which were designed by "Godzilla" star Elizabeth Olsen and "Divergent" actress Maggie Q, will benefit the nonprofit Recycle Across America, up to $50,000. Origins: Get a free "Eco-Chic" tote bag and bracelet with any purchase with the code EARTHDAY, according to the Origins.com website. Shipping is free when you purchase over $40. Uber: Uber customers in Montreal can request an uberECO vehicle, an electric or hybrid car today only, and some riders will receive a free basket of fresh vegetables by local farms. Starting today, Uber is offering $5 uberPOOL flat rates in New York City through Sunday. In Phoenix, when Uber customers that enter the promo code EARTH2015, Uber will donate $1 to the nonprofit Keep Phoenix Beautiful. Wegmans Food Markets: On Saturday, the first 300 customers to bring in a bundle of clean, dry plastic bags for recycling will receive a coupon for a free Wegmans reusable bag, limit one per household. Other Wegmans events will take place from 11 a.m. to 3 p.m. that day. Bonus for Thursday: Not in celebration of Earth Day, but Jamba Juice's "Free Jamba Giveaway" takes place on April 23 between 9 and 11 a.m., no coupon required. Celebrating the company's 25th birthday, customers get one of three free classic smoothies and juices, including one 12-ounce Tropical Greens, a small Caribbean Passion or Strawberries Wild.